Shoulder arthroscopy is an option for individuals who suffer from shoulder disorders such as labral tears and rotator cuff tears. This is a surgical procedure that is conducted to diagnose, visualize, and treat a number of issues within the shoulder joint and in the area surrounding the rotator cuff. Shoulder arthroscopy enables orthopedic surgeons in Jacksonville, FL to place a fiber optic camera inside of your shoulder joint. Doctors will be able to get a visual of all the components in the shoulder. With this method, medical professionals are able to perform numerous procedures without cutting open the shoulder. Here’s an insight on shoulder arthroscopy. This surgery is conducted to treat a number of common shoulder issues such as tendinitis, arthritis, and rotator cuff tears. 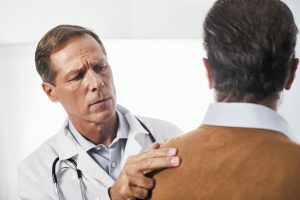 The ideal patient is an individual who has experienced a structural issue with the shoulder and has not improved with traditional treatment such as medications or physical therapy. What Happens During a Shoulder Arthroscopy? An arthroscopy is often conducted in an outpatient setting. Anesthesia is administered prior to the surgery, and the type of anesthesia used is determined among the anesthesiologist and the surgeon. The orthopedic surgeon will place two to three small incisions to insert the scope and other needed tools. The surgeon fills the joint with sterile fluid to get a clearer visual. Typically, these procedures take an hour or less to be completed. After the surgery has been completed, you may be required to wear a sling and you will be provided with instructions regarding whether you are allowed to move your arm immediately or not. Arthroscopic shoulder surgery enables orthopedic surgeons to get a clearer look inside of your shoulder without having to cut it open. There is minimal scarring and reduced pain and swelling. You are not required to stay in the hospital overnight, and there are fewer risks and complications. In athletes, damage often occurs in the labrum, and a procedure needs to be conducted to stabilize the shoulder following a dislocation. A surgery called Bankart repair is able to connect the labrum to the joint pocket to secure the ball in place. An orthopedic doctor in Jacksonville, FL will determine if this is the best option for you. A frozen shoulder is one of the most common causes of shoulder injuries. When you have a frozen shoulder, the capsule that surrounds the shoulder joint is contracted and tight. The surgery loosens the contracted tissue and enables the shoulder to move freely. The objective of this surgery is to figure out what part of the rotator cuff is damaged and also reattach any damaged tendons. Upon locating healthy tissue, the surgeon will utilize various methods to restore the tendons. Individuals who suffer from shoulder bursitis are often not cured with traditional treatments. An arthroscopic subacromial decompression takes away bone and inflamed bursa from the troubled area surrounding the rotator cuff tendons. When the tissue is removed, more space is developed, and the inflammation is relieved. If you would like to learn more about how shoulder arthroscopy can benefit you, give the experts at Southeast Orthopedic Specialists a call.